You might already be familiar with the Humanscale Diffrient Smart chair, which has won awards and is one of the leading products in the seating industry. This mesh chair is at the height of precision design, offering both pleasing aesthetics and optimum comfort and support. Humanscale already has a reputation for designing and manufacturing ground-breaking seating, but now they’re raising the bar even further. Now, Humanscale has introduced a Net Positive Product through sustainably redesigning the Diffrient Smart chair. As the world grows more and more concerned about the state of the oceans overflowing with plastics, Humanscale decided to do something about it. The Smart Ocean chair is the result of their commitment to sustainable manufacturing and putting the plastics polluting the ocean to good use. Humanscale is using a unique process to manufacture the Smart Ocean, beginning by working with Bureo, a new venture working to develop innovative solutions to stop plastic pollution in the oceans. For the last few years, Bureo has been working in Chile to collect and recycle the plastic fishing nets harming ocean wildlife. The recycling plastic nets become “Net Positiva,” or mechanically shredded plastic that is then put into pellet form, which produces NetPlus material. 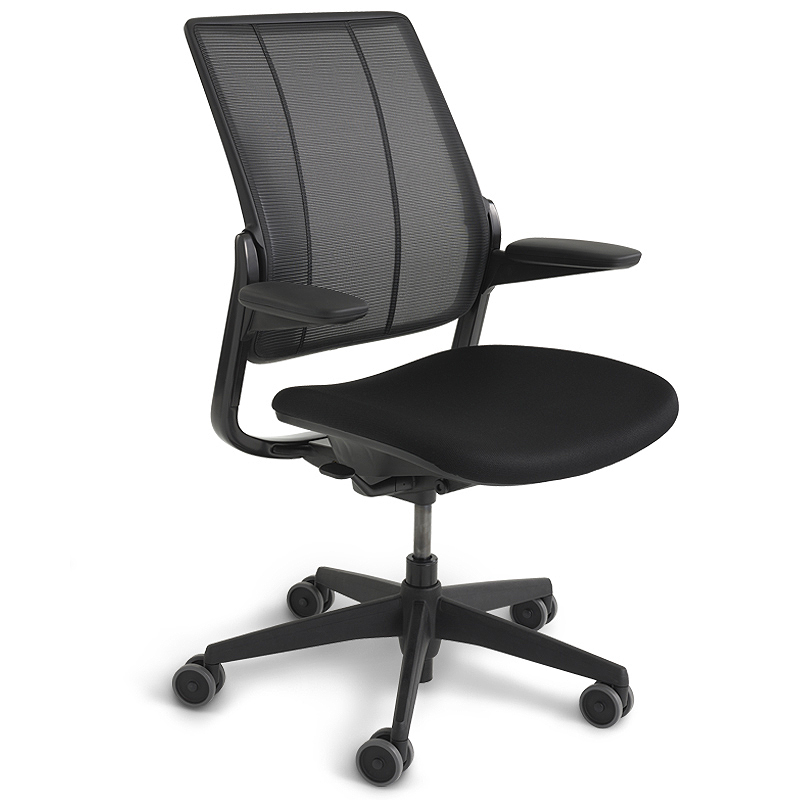 NetPlus has been used to make products like sunglasses and skateboards and now, it’s an ergonomic task chair. Each Smart Ocean chair contains almost 1 kilo of recycled fishing nets recovered from the ocean. And the changes don’t stop there – Humanscale actually has plans to introduce NetPlus material throughout their other products. Keep an eye out for more new innovative products from Humanscale.